Godrej Woodsman Estate is a finished premium private property by Godrej Properties Limited, Located in Hebbal, Bangalore. Godrej Woodsman Estate way of life pleasantries in addition to an effortlessly open area and a variety of keenly composed 2 BHK and 3 BHK. Godrej Woodsman Estate houses best in class Apartments that are certain to give you a predominant way of life. 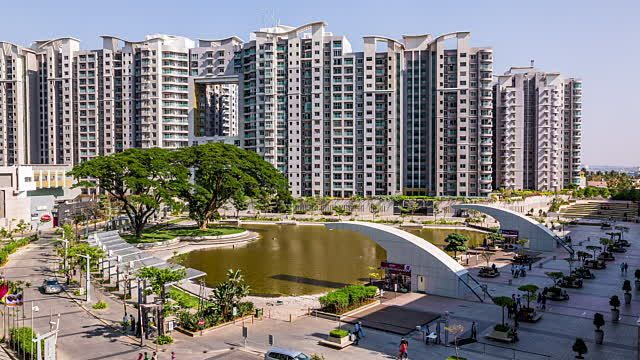 Godrej Woodsman Estate comprises of 16 floors with a total of 924 apartments. The total number of blocks in this residential property is 16.